Before deciding what kind of custody situation is right for you it's important to know the facts. Here's the pros and cons of a split custody agreement. Divorce isn't easy for anyone, especially children. During a divorce, couples must decide how to split assets and possessions. And if you have children, it's critical to make custody arrangements in their best interest. This should be approached by first thinking of what will benefit the kids most. Divorce is an unsettling and often scary time for children. And they often feel caught in the middle. Although there are many different types of custody arrangements, many divorce attorneys believe joint custody is best for children. Of course, this depends on the situation and the stability of the parents in question. If you are considering what custody arrangement is best for your child, it's important to know the facts. Let's take a look at the pros and cons of split custody. Whether it's split custody or another arrangement, it's only best if it's in the best interests of the child. Joint or shared custody can often be a positive solution if both parents are stable and willing to make it work. Parents going through a divorce should put their feelings aside and take a good look at what's best for their child. There are many pros to split custody. With a joint custody arrangement, children continue to see both parents on a regular basis. This may be better than a child seeing a parent only on weekends or holidays. Children whose parents divorce have a lot of feelings to process. They need to know it's okay to love both parents. Children who get to see both parents regularly and without hostility are better able to cope with the challenges a divorce brings into their lives. You don't want to allow your divorce to negatively impact your relationship with your child or children. They need to know you still love them and will continue to be there for them in the future. Joint custody makes it possible for parents to have equal time and maintain the parent/child relationship. Each parent can be an active participant in their children's lives. Children need lots of support when their parents divorce. Extended family can be an important part of that support. Because children are with each parent regularly, the parents should make sure children are able to see each side of the family including grandparents, aunts and uncles, and cousins. Raising a child is hard work, especially for a single parent. With an amicable split custody arrangement, you aren't left to tackle parenting alone. It's ideal if parents can work together and share responsibilities and decision making. It's good for a child to see their parents work together and know they have the love and guidance of each parent. And split custody allows parents to have a break when it's the other parent's time with the children. Although the marriage may be over, parenting continues. Most couples aren't on friendly terms immediately following a divorce. Co-parenting allows parents to work together for their child's best interests and future in mind. This can lead to a more civil relationship between the parents. When parents are friendly, it creates a warmer and less hostile environment for a child. It's hard work, but parents who put aside their differences and maintain civility will raise a more well-adjusted child. Joint custody puts parents on an even playing field with both parents involved in the decisions regarding their children. For some families, this arrangement may not work. Most parents are concerned about their children's well-being. And parents should carefully consider the needs of their children before finalizing any custody arrangements. If one parent has issues with addiction or a history of child abuse of any kind, joint custody should not be considered as an option. In most split custody arrangements, the child travels back and forth giving each parent equal time. Some children may be unphased by this, but for some, this could be quite stressful. This may not be the best arrangements for a troubled or particularly needy child who requires more stability. 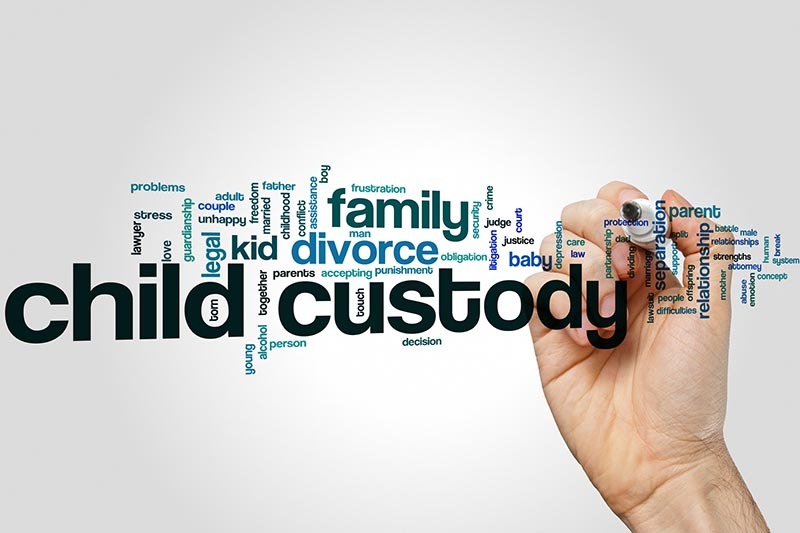 It's up to the parents to consider their child's unique needs and determine the best custody arrangement possible. With joint custody, parents have equal powers in decision-making. That's good if the parents can make it work. But too often, parents can't put aside their own hostility about their ex-spouse. This can lead to continuous power struggles and animosity. It is stressful for children to see their parents fighting, and over time, this creates an unstable environment. For parents in this situation, another custody arrangement may be a better choice. Split custody isn't just about the time a child spends with each parent. It's also about sharing equal responsibilities and decision making in regard to your child. Parents who worry more about the equality of the decision making over the quality of these decisions aren't working for the good of their child. This can result in neglect of what matters to your child. Power struggles are more about the parents than the child. And it's not good for a child to be put in the middle. Children should never have to relay messages or deliver child support payments. If parents can't work amicably to share decision making, split custody isn't the best option. If you are thinking of filing for divorce, it's never easy, especially if you have children. There's a lot to consider, and the right custody arrangement is so important for your child. You need all the support you can get, and you need an experienced divorce lawyer to help you make the right decisions during this trying time. If you have questions, we'd love to help. Contact us today. This entry was posted in split custody by verhaeghelaw. Bookmark the permalink. Search Engine Optimization by BreezeMaxWeb, an SEO Company.